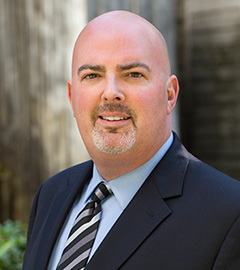 My name is Chris Thayer and I am a medical malpractice attorney practicing in downtown Seattle. I have developed this website to provide information about me, the services my law firm provides, and to give the consumer some basic background information and resources relating to medical malpractice claims in Washington state. I handle medical malpractice, personal injury and wrongful death claims throughout the greater Seattle area, including Pierce, King and Snohomish counties. I had an employment contract issue that Christopher Thayer helped me handle in an effective and timely manner. He gave me excellent early feedback, guided a strategy overview and kept my confidence up during the negotiation. Here’s the deal: This was not a large case, so Chris was perfect at keeping his involvement to an appropriate level, coaching me via phone and email, and helping me get a successful result without undue expense. I had done some marketing work for his firm and was aware of their “customer oriented” reputation. Now that I’ve had an opportunity to use Chris’ services on a case of my own, I can wholeheartedly endorse him. Thanks, Chris! Chris has always done an excellent job for me personally, everybody I have recommended to Chris and the company I am the president of. Chris has always responded back to me quickly which is extremely important to me. I can tell Chris takes everything, large or small very seriously and with the up most integrity. I have never been disappointed hiring Chris. I would highly recommend him and his firm to anyone. Chris Thayer and the team at Pivotal have been incredibly helpful to me on multiple occasions for business-related legal issues, incorporating, contracts, etc. I have been incredibly happy with their work. A number of years ago, I recommended Chris to my parents for a real estate transaction and they were incredibly happy. I would highly recommend Chris. Chris is an excellent attorney. He is very knowledgeable, kept me in the loop the entire time, and walked me through the process including potential pitfalls. He successfully negotiated a larger settlement than expected while avoiding a trial. I highly recommend Chris and would hire him again in an instant should the need ever arise. Chris has been doing work for us since the mid 90’s. He’s worked on numerous contracts and several matters that required litigation. In each and every instance, Chris Thayer has settled matters to our liking. We can’t say enough good things about Chris. We wish him all the best in his new practice; where we continue to use his services. Chris Thayer is an amazing attorney. Pays attention to detail and gets the job done. I would definitely recommend him to friends and family. Mr. Thayer has earned my trust and admiration for his professionalism and integrity. It’s rare to find an attorney who is a genuinely good person looking out for your best interests. Add to that combination, knowledge and expertise. I can’t say enough great things about his character and legal expertise. And that he was a bear fighting on my behalf when I needed it. Chris Thayer and I have worked together on several cases and I have also referred clients to Chris when I was unable to represent them- all because I have the highest respect for his ability and skill as a lawyer. Chris has also proved to be a respected leader in his firm as well as have the respect of his peers. I rate Chris a 5 Star person and lawyer. Great service, Chris Thayer has been extremely responsive over the years! Pivotal law firm saved my medical professional career and Chris Thayer is a brilliant litigator, who is fearless in court yet unlike many other attorneys, truly has a heart of gold! Chris Thayer has been my business and personal attorney for about eight years.Originally, I retained Chris for a personal matter, to help when we got into a dispute with the contractor who worked on our house. Chris handled a challenging situation with total professionalism, and when the contractor realized that we had such excellent legal advice, we were able to settle the dispute pretty quickly. It was a really stressful time, but having Chris back us up allowed me to sleep well at night. After such a good result, I started hiring Chris to help me with my company’s business matters as well. Eight years later I can say that Chris is pretty much everything you want in an attorney: smart, helpful, thorough, ethical and respectful of your budget. Chris is very professional and knowledgeable, a great legal resource. My experience was very good with Chris and Pivotal Law Firm. He was very responsive and did a good job of communicating my situation in terms of the “law” versus what I felt was fair and just. I have used Christopher Thayer for legal help and advice on several occasions. Chris provided excellent work and sound legal advice. I felt his billing practices were honest with clear statements outlining his time and the services performed. I got good value and good results from the work Chris did for me. I highly recommend Chris! A found Chris to be a very understanding,knowledgeable lawyer. My case was not an easy one but he handled it with expertise and care. I was very happy with my dealing with him and the firm. I was recommended to Chris through a friend that knew him from long ago- so I took the chance. Chris has been nothing but friendly and professional to me, but most of all - he has been patient with me. Chris is helping me with a bad car accident (not my fault) that I would otherwise not pursue and probably just have “lived with”. Instead he makes it right, and in a moral way. His sidekick Tara is fantastic also. In my situation I have been on and off painful recovery such as therapy and there have been times I have wanted to give up (on helping myself). But both have been almost like a friend to me this whole time through the process. I am thankful for Chris and Tara, it makes a physically painful process seem quite a bit less emotionally painful. I’d also like to add that I am using another attorney in Chris’ group, Pivotal Law, named Brian. This is for an unrelated matter, and again with the service and kindness…simply outstanding. This is definitely a group to stay with. You never really want to “need” an attorney…but it’s really great to know you “have” one…and one working beside you. Chris is very professional, exceptionally bright, and totally tenacious. A great lawyer! Chris was very attentive and prompt handling my legal matter. Highly recommend. Competent, responsive and quality people in my view. Chris and his team have been absolutely wonderful to work with. They are extremely knowledgeable, approachable, and able to convey complicated concepts in ways that are simple and easy to understand. Additionally, having worked with a number of attorneys throughout my career, I’ve never found a firm to be so responsive and easy to work with. While I know they were working a number of other cases in congruence with mine, their attentiveness and speedy response times made me feel like I was their only client! I highly recommend Pivotal Law Group to anyone dealing with a personal injury claim. Thank you to Chris and Tara for all of your help and hard work in successfully settling my claim! After being injured while on vacation in the Washington, I found that I needed a Washington state attorney to help with pursuing a settlement for my injuries. I live in the Eastern portion of the United States. So I prayed and asked for God’s guidance and found Pivotal Law Group on the internet and I am very glad that I did. Christopher Thayer, Pivotal’s managing partner and his paralegal, Tara Peterson, were a tremendous help and a wealth of information. At no time did Mr. Thayer ever make me feel a nuisance, since my case was not large. He and Tara both were consistently available for any questions or concerns that I had and there were quite a few as I had never experienced bringing a bodily injury claim before. The settlement that Mr. Thayer helped me obtain was more than expected, all things considered. It gave me much peace of mind knowing that I had Chris and Tara working on my case. He gave me accurate advice while never pushing me to accept it even when my emotions were trying to overrule my head. You would have thought they had no other cases considering how they always took their time and told me time and again to call at any time if I had questions or concerns. I am satisfied with the outcome of my settlement and would recommend Chris and Tara to anyone should the opportunity arise! I am so grateful to Chris. Not only is he a good lawyer, but he&#8217;s so personable, honest, charismatic, and helpful. He listens and will do what it takes to help you. My son referred me to Chris, and I have recommended him to others as well. Christopher Thayer really did a fantastic job with my case. He always had the right answers to my questions, and won the case for me with his articulate handling of the opposing counsel. Nothing slips by him! I am a client for life. Chris is an outstanding attorney, comprehensive in his efforts and supportive. He gave me guidance but allowed me to make a final decision and supported me completely. I highly recommend him. It was wonderful working with Chris. We had no worries about how he handled our case in the wrongful death of our mother. Not only did we receive a nice settlement, he was easy to deal with and never lost sight of how hard it was for us. We are eternally grateful for this. When I met with Chris Thayer, it was my first experience with an attorney. Not only was it comforting, but it was a huge weight off my shoulders. Everyone at the firm tracked every detail of my case, and they were diligent about their communications. After mediation, I actually got a letter of apology from the president of the insurance company. I can’t say enough good things about Chris and Larson Hart & Shepherd. I was injured in two car accidents within an eight month period and was unable to get a settlement from the insurance companies anywhere near consummate with the life style changing injuries I incurred. Frustrated with the insurance companies rhetoric and low ball offers, I did some research and found Chris Thayer at Pivotal Law Group. It’s the best decision I could have made. At our first meeting Chris explained the process we were going to go through and right away I felt confident that he was going to was going to get the best settlement possible. Throughout the process he was low keyed, very personable and explained what he was doing and involved me in the decision making. With the help of Tara Peterson who was always on top administrative end of things, we did reach a settlement that I’m very satisfied with. I would recommend Chris Thayer to anyone I know involved in a injury accident, he’s the best. Seattle medical malpractice attorney Chris Thayer handles medical malpractice claims throughout the Seattle area, including Pierce, King and Snohomish counties.. He has handled cases in Auburn, Bellevue, Bothell, Bremerton, Burien, Edmonds, Everett, Federal Way, Issaquah, Kent, Kenmore, Kirkland, Lacey, Lynnwood, Marysville, Medina, Olympia, Port Orchard, Redmond, Renton, Seattle, Shelton, Shoreline, Snohomish, Tacoma, Tukwila, and Woodinville.